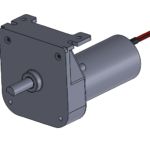 Rex Engineering gearboxes can be built with brushless DC ("BLDC") or permanent magnet motors. They are inexpensive and easy to use! Low to zero electronic noise, or EMI/EMC emissions, which interfere with sensors and electronics. Speed and direction is controlled easily and accurately, offering you a full range of options with every motor. Built-in Controls: "Plug and Play"
This motor features integral controls: a speed dial and directional switch built-in. It can also be easily adapted to work with a foot pedal or other controls of your choice. 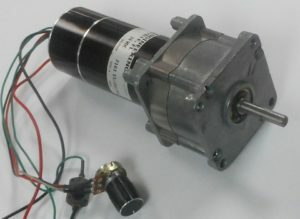 This motor is about 1" longer due to the built-in controls, and has comparable power to the "External Control" option to the right. If you need to monitor your process, we have external control options like this one. 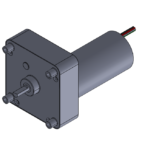 This motor is controlled by a basic 3 phase drive circuit. 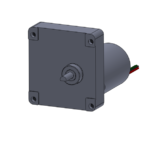 You can use your own or we can supply the drive circuit and wire harnesses that you may need. 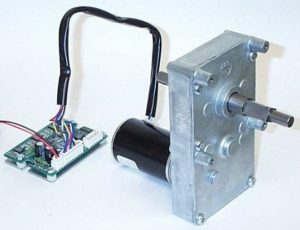 Output from Hall effect sensors can be used to monitor the speed and rotational direction. Tachometer/position signals are available. 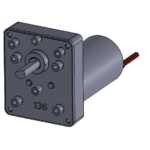 This option is available on all of our gearboxes! 3D Solid models are available! 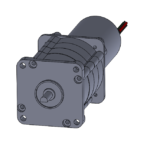 Email us to request a model in SolidWorks, IGES, STEP or STL format. Click on the photos to see a PDF file with dimensions. 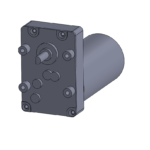 Integral control options are shown, but external control is also available for any of the gearbox styles, and dimensions for both can be found on the drawings. 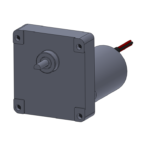 BLDC motors have comparable power to shaded pole or permanent magnet motors. They can be controlled either digitally or manually. 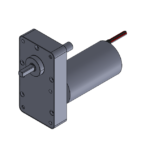 Accessories include linear motion, slip-clutches.....or whatever else you may require! 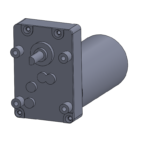 The gearbox output shafts can be made to your specs, or you can use one of the many common designs we keep in stock. 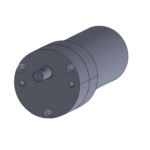 Shafts can be case-hardened and are supported in either bushings or needle-bearings. 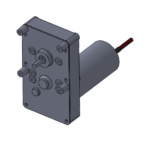 The gearboxes are permanently lubricated with synthetic gear grease. 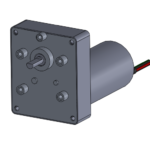 The gearing material is steel, although plastic parts can be used if the loading is light.